Media Release ­— SPX is pleased to announce Scott McCloud, Bill Griffith and Kathryn Immonen as guests at SPX 2016. 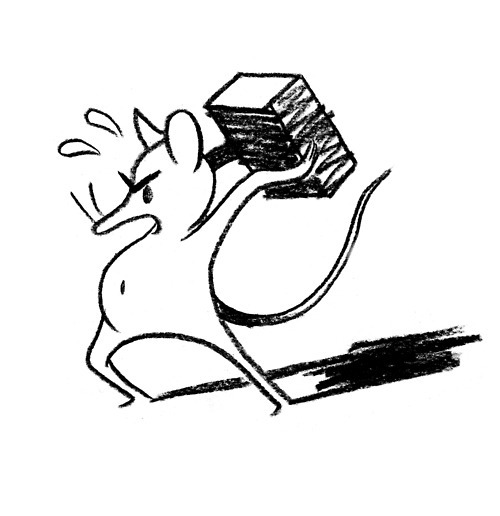 This is in addition to the previously announced guests Kate Beaton, Luke Pearson, Noelle Stevenson, Michael DeForge, Gemma Correll, Noah Van Sciver, Matt Bors, Lilli Carré, Theo Ellsworth, C. domain name owners . Spike Trotman, Jennifer Hayden and Stuart Immonen. 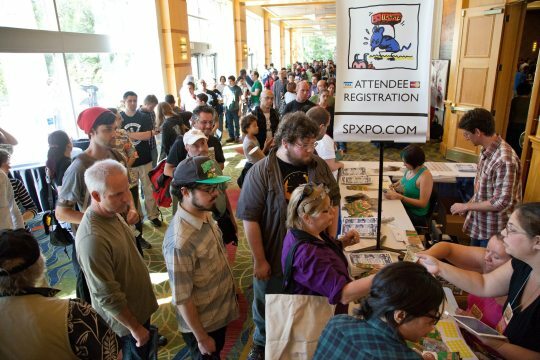 SPX 2016 takes place on Saturday and Sunday, September 19-20, and will have over 650 creators, 280 exhibitor tables and 22 programming slots to entertain, enlighten and introduce attendees to the amazing world of independent and small press comics. The indefatigable Scott McCloud joyously joins the ranks of special guests on the heels of his tour for The Sculptor from First Second, a graphic novel following the harrowed life of a cursed (or blessed) sculptor given extreme creative powers that come with the ultimate price tag. McCloud’s resume recently included a guest editorship on The Best American Comics (2014), and is the reigning American king of comics scholarship in comics form with his series, How to Understand Comics, Making Comics and Reinventing Comics. If you have ever labored long into the night on a 24 hour comic, you can thank the multiple award-winning (Eisner, Harvey, Kirby and Manning) McCloud for that challenge in person. SPX 2016 will see the debut of the very first graphic novel by Bill Griffith. Titled Invisible Ink and published by Fantagraphics, it is the story of his mother’s extramarital affairs with a cartoonist that took place in suburban Levittown and the culture center of Manhattan in the 50’s and 60’s. Griffith’s continues his pithy, pointed and surreal social commentary through his long running strip Zippy the Pinhead. 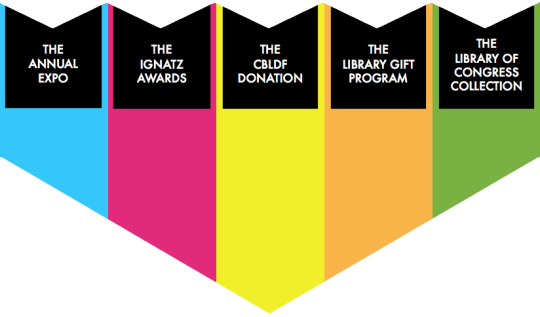 Zippy is available online and is syndicated to newspapers around the United States such as the Washington Post and Houston Chronicle. Kathryn Immonen is a Canadian comics writer who has written for both DC and Marvel Comics, notably on such titles as Patsy Walker: Hellcat, Runaways, Heralds, and Journey Into Mystery. Earlier this year she and her husband/collaborator Stuart released the critically well-received Russian Olive to Red King from Adhouse Books. 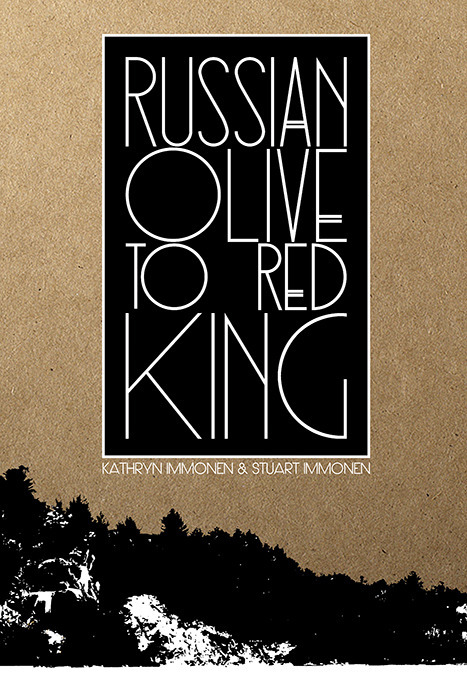 Russian Olive to Red King is the newest graphic novel collaboration between Kathryn and Stuart, their previous efforts being Never As Bad As You Think from Boom! 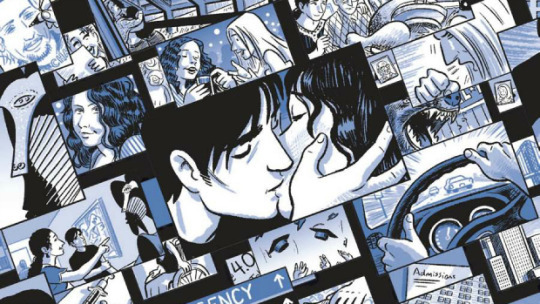 Entertainment and Moving Pictures from Top Shelf, which was nominated for both Stumptown and Doug Wright Awards.